Ken Langone, the co-founder of Home Depot and former director of the New York Stock Exchange, shares the story of his unlikely rise and storied career in his memoir, I Love Capitalism! This story is also Langone's passionate defense of the American Dream: a country in which any young striver can reach the maximum potential of his or her talents and work ethic. 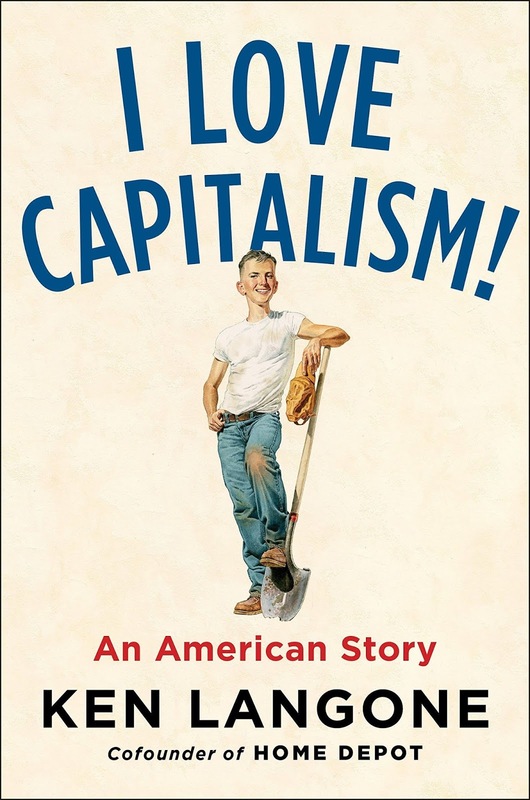 "This book is my love song to capitalism," writes Langone. "Capitalism works. Let me say it again: It works! And I'm living proof - it can work for anybody and everybody. Blacks and whites and browns and everyone in between. Absolutely anybody us entitled to dream big, and absolutely everybody should dream big. I did. Show me where the silver spoon was in my mouth. I've got to argue profoundly and passionately: I'm the American Dream. "I grew up in Roslyn Heights, Long Island, during World War II and just after. There was never much money. My father was an excellent plumber, though not a financially successful one;we lived from paycheck to paycheck. Because he couldn't make enough to provide for the family, my mother had to go to work: she got a job at the school cafeteria, and the little bit she brought in helped make ends meet. But I didn't realize that I was poor, and I had a wonderful childhood." Langone started his ascent as a hard-working teenager who dug ditches and collected used cardboard. When he decided to go into the business world in the late 1950s, it wasn't easy for an Italian-American kid from a blue-collar family to break into the clubby, WASP-dominated world of Wall Street. Langone pulled it off by trusting his gut and teaming up with other go-getters who didn't fit the traditional mold. How his bravado and perseverance persuaded Ross Perot to hire Langone to lead his first IPO, for Electronic Data Systems. Their shockingly high offer price astonished the investment banking community and cemented both of their reputations. Langone's passion to give back as a philanthropist, most notable as chairman of the Board of Trustees of NYU Langone Health. This was his way of repaying the generosity that made his whole career possible - such as the extra $300 he got from Bucknell when he was too broke to finish college. Langone also gives the inside story of his epic legal and public relations battle with then-New York State Attorney General Eliot Spitzer, and the principles he had to defend at all costs. How Langone learned to evaluate a business by applying common sense, not just the formulas he picked up at his night business school classes. Langone's instinct about the potential for Bernie Marcus's idea for a big box hardware chain led him to team up with Marcus and Arthur Blank to cofound Home Depot. Langone's business philosophy can be summed up in this part when he writes about Robert Nardelli taking over as Home Depot Chief Executive Officer in December 2000, "Home Depot's great strength was (and still is) its culture, and our culture isn't about statistics. "Now-remember, I'm the son of a plumber - if you look at a faucet, it's got a handle and an escutcheon (that's the shield under the handle.) And beneath the escutcheon, inside the sink, you've got the guts. The way it works is the handle turns a stem, or shaft. At the end of the shaft, there's a washer. The washer fits into what's known as a seat, and when you shut the faucet, the washer presses against the seat, and the water can't come up. Now, if that washer is old and brittle, the water comes through, and you get a drip. "'Well, it drips,' the guy says. 'The reason it drips is - look at your washer,' the kid says. 'Come on with me.' He goes over to the plumbing department and he takes a little thirty-nine cent glassine bag of assorted washers off the display, opens it, takes the right-sized washer out, unscrews the screw on the guy's faucet assembly that holds the washer in, takes out the old washer, puts the new one in, and screws the screw back in. "And lo and behold, the guy went home, put the faucet back in, and it was fine. Drip gone-problem solved. He paid nothing. "'Let me take you over to Roz,' the kid says, and takes them to meet the woman who's the kitchen designer. 'Will you please take care of them?' the kid says. "Bottom line: the couple bought a brand-new kitchen - appliances, cabinets, flooring. It was close to a $100,000 job. "Between 2000 and 2005, Bob Nardelli nearly doubled Home Depot's sales. During this time, the company's revenue increased from $45 billion to over $81 billion. He grew net earnings after taxes fro $2.5 billion to $5.6 billion. But during the same period, Home Depot's stock stayed more or less stagnant while Lowe's stock price doubled. "Back when the company had first started, I'd recommended a policy requiring every director to visit three Home Depot stores every ninety days, casually dressed and as inconspicuous as possible, and report on his or her findings. What the directors were now finding on their store visits was that something was amiss. Wall Street analysts were also reporting the same issues - morale problems in the stores and, company-wide, an inordinate focus on Nardelli's pay package. The market had picked up on our troubles. "Arthur didn't protest: he was stunned. He went home, though he went home a very wealthy man. The next thing we heard, the Atlanta Falcons were up for sale, and Arthur bought the team." Langone also gives his opinion on topics around the economy, but it is clear where he stands on what philosophy works best. 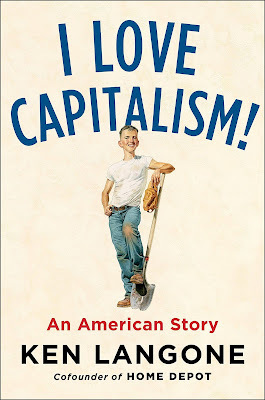 I Love Capitalism is a gripping, engaging read, told in a conversational story with a voice familiar to anybody who has seen him on CNBC, and people unfamiliar with him can learn the story about a name that is synonymous with many institutions around New York.